With the return of Ivan Provorov, Travis Sanheim, and Travis Konecny to their respective junior teams, the demotion of Samuel Morin, and the seemingly quick pace with which the Philadelphia Flyers are paring down their roster, the intrigue of training camp has greatly decreased. Sure, there are still a few position battles to be ironed out, but as a whole, the roster is getting very close to being set in stone. However, on a league-wide basis, things are beginning to get interesting. As teams lose players to injury and prospects are sent down, a whole new group of issues is brought to light. As the Flyers continue to work on their own lineup, they should be keeping an eye on other teams. It is imperative to know what other teams are up to, and with respect to league-wide scouting, there are really three training camps that should have caught the Flyers eye by now. There are two reasons why the Canucks training camp should interest Philadelphia Flyers fans. First, the foot injury to Chris Higgins could cause some roster shuffling in Vancouver. According to CapFriendly.com the Canucks have about $1.3 million in cap space. Although this is not enough to take on the contract of any major Flyers forward, it could be possible with a bit of cap maneuvering. For example, Brayden Schenn is on the final year of a contract worth $2.5 million. If the Flyers were to retain half of Schenn’s salary, he could fit into the Canucks lineup. There is no evidence that the Canucks are actively looking for a trade right now.. But with the Flyers abundance of players, it is plausible that they could work something out with Vancouver. Second, if Jake Virtanen makes the Canucks out of training camp it could have huge implications for Flyers prospects. Both Travis Konecny and Nicolas Aube-Kubel are vying for a position on the Canadian World Junior Championship team. Virtanen is a virtual lock to be on the Canadian team, assuming he is loaned by the Canucks, while both Flyers prospects are bubble players. However, if Virtanen becomes a contributing member of the Vancouver Canucks, he may open up a spot on the Canadian roster for one of the Flyers prospects. The departure of Dougie Hamilton and Milan Lucic, their head-scratching first-round draft picks, and the trade for Zac Rinaldo have left many puzzled with the Boston Bruins. Yesterday, news broke that defenseman Dennis Seidenberg will miss eight weeks with a back injury. 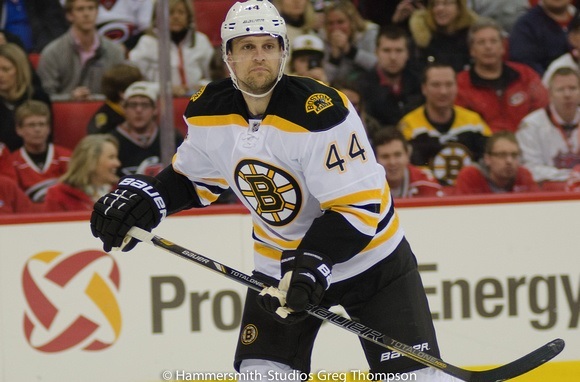 Therefore, over the last year, the Bruins have seen both Hamilton and Johnny Boychuk leave, and now will have to start the 2015-16 season without Seidenberg. Luckily, the Flyers have a plethora of defensemen. The Bruins have about $4 million in cap space, which is enough to take on any Flyers defenseman not named Streit or MacDonald. With eight defensemen on NHL contracts, Ron Hextall should put the Bruins on speed dial. When the report of Seidenberg’s injury surfaced, Bruins general manager Don Sweeney seemed quite open to the idea of trading for a defenseman. The Flyers may be the perfect fit for a trade like this, especially if Shayne Gostisbehere continues to impress. 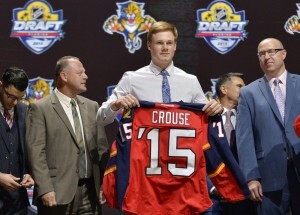 Like Jake Virtanen and the Vancouver Canucks, the Florida Panthers have a young forward named Lawson Crouse who could have a major effect on Flyers prospects. Crouse, picked 11th in the 2015 draft, was a part of the Canadian team last season as a 17 year old. This year, he figures to be on the team again if he is not in the NHL. Normally, I believe that a player of his age (he is a late birthday) and production level needs another year of junior seasoning. Dale Tallon, the Panthers general manager, seems to have a different opinion. Shortly after signing Crouse to his entry-level contract, Tallon said that he expects the forward to make an immediate impact and play in the Panthers top-six. More recently, Tallon has made it clear that Crouse will be given a nine game NHL tryout to begin the 2015-16 season. Although Crouse plays left wing, both Aube-Kubel and Konecny could benefit from his absence from the World Junior Championships. Both players predominantly play right wing, but the Canadian lineup has so many versatile forwards that one less body would help the Flyers prospects make the team. Also, Aube-Kubel has spent some time at left wing. The NHL has a lot of moving parts. There are plausible trade scenarios out there for the Flyers. With reports swirling around the Schenn brothers and injuries around camp, it looks like the Flyers could potentially make a training camp trade after all. The idea of Nicolas Aube-Kubel and Travis Konecny playing at the World Junior Championships is exciting. However, that may only happen if a prospect from another team has a great NHL training camp.